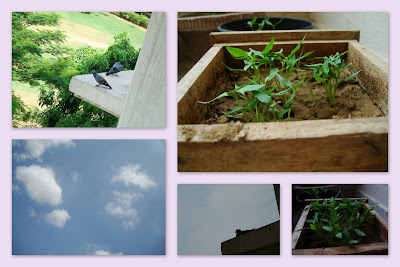 Random clicks.. and that potted wierdness is my pepper seedlings.. I had planted some seeds a while ago and they all germinated. And now I am too much in love with them to weed them out.